You might’ve already come across the answer several times in a single day; I mean, who hasn’t taken one of those silly quizzes that you see on social media networks? But that’s also our point. These silly quizzes are one of the most underrated types of content that every marketer should at least try once. Social media quizzes have the innate ability to draw in various types of audiences based on their content. Not only are they entertainingly engaging, but they provide so much value on a level that only marketers would notice. Social media quizzes are capable of going viral, and depending on the quality of the quiz, they’re also able to increase revenue and generate leads. Here Interact, we’ve helped over 10,000 brands create over 25,000 quizzes, so we know exactly what these quizzes are capable of. 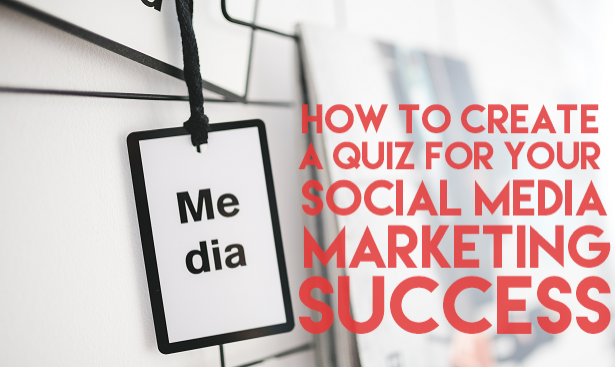 Because we’ve had so much experience with quizzes, we thought it’d be a great idea to fill you in on some of the best practices in creating your own quiz for your social media marketing. Today, we’ll take you through a step-by-step guide on how to create your own social media quiz, how to promote that same quiz on social media, and then how to follow up on leads with marketing automation. By the end of this article, you’ll be able to walk away with one of the more successful tools that have helped so many others in their social media marketing endeavours. The “Actually” Title – There’s a difference between “How much do you know about social media marketing?” and “How much do you actually know about social media marketing?” Subtle isn’t it? The mere addition of the word “actually” can instantly change a mundane question into a thought-provoking challenge, and trust us, no one wants to back down from a challenge. Consider using this template if you want to goad your audience into testing how much they know about a given subject. The “Which (Blank) Are You?” Title – You might have come across this template in the form of “Which marketing thought leader are you?” or some other kind of variation. This is one of the more popular templates that you’ll find on social media. Because people are so curious about finding out which Harry Potter character they are, this title proves to be one of the more successful ones. The “Celebrity Personality” Title – Take the previous title template and replace the (Blank) with a celebrity (or celebrities) of your choosing. This template puts a spin on the previous one by substituting it with a celebrity for good measure. Because we’re using bigger names, the chances of attracting a larger audience increases. Consider using this one if you can’t come up with anything else to fill the blank. The Personality Quiz – With the help of the “self-serving bias,” humans are naturally drawn to hearing good things about themselves. This is what makes this type of quiz so popular. 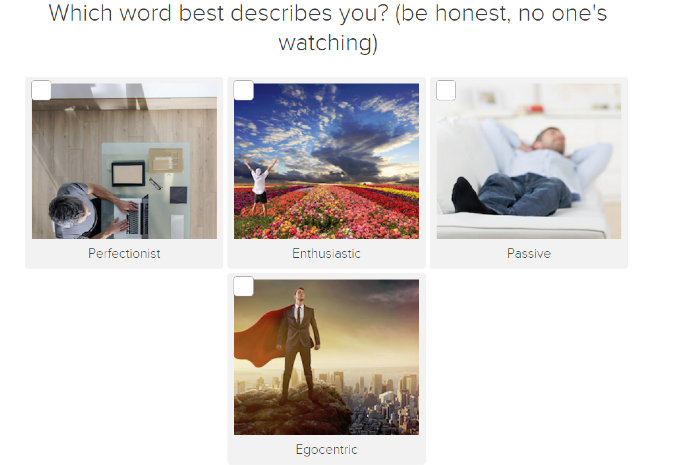 The personality quiz takes people and categorizes them in different personality types. Each personality is meant to compliment a person based on their answers. When it comes to marketing, you could place your audience in various personalities that offer personalized product recommendations suited to their styles based off of their answers. Run that with a social media campaign and you’re sure to draw in customers. The Knowledge Test – This is one of the more common types of quizzes that you’ll come across on social media. The knowledge test essentially challenges how much someone knows about a given subject. It delivers results based on accuracy and can often let the participant know whether he/she got their answer right or wrong on the spot. Marketers can use this to assess their internal infrastructure, or they could see how much their audience knows about their brand and its products. Be A Part Of Your Quiz – Don’t just let your questions do the work for you. Become a part of your quiz by adding some personality to it. Talk to your audience as if you were talking to them in person. This gives the quiz itself a much needed touch of comfortability that sets a more relaxed tone. Use Images To Liven Things Up – Quizzes that consist mostly of text are boring. We’ve had enough of those back when we attended school all of those years ago, so why not brighten things up with images? Using images keeps things fun and relevant, and it easily changes your quiz from something lackluster, into something closer to a trivia game. Keep Things Relatively Short – People go through social media at an insane pace. You, at most, will have about five minutes to interact with someone online, so make it count. Try to aim between having 6 to 8 questions in your quiz. This takes about 2-3 minutes for the average person to complete, and that’s just enough time for us to engage with them. Include Incentives To Increase Opt-In Rates – Even if trading quiz results for contact information is a fair trade as is, there’s nothing wrong with promising your audience a little more value. Include incentives like an entry into a free giveaway, or maybe even a free ebook. Find what works best for you when it comes to growing your email list. 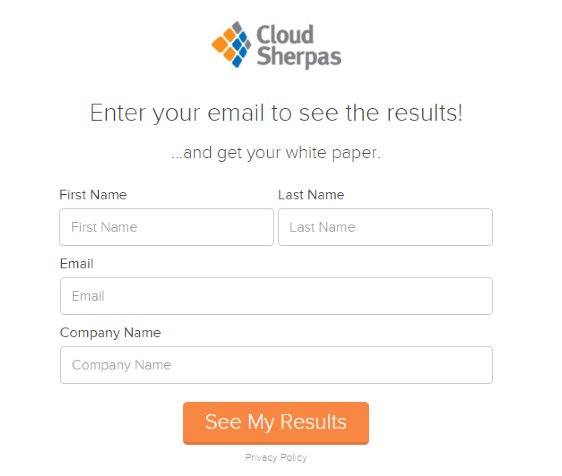 Request Information That You’ll Actually Use – At the bare minimum, most lead capture forms request an email address. It’s completely okay to request a first and last name to. This allows you to personalize the marketing automation emails that will follow. But don’t ask for information you won’t use. For instance, what’s the point in asking for a phone number if you don’t call it? Be Honest But Uplifting As Well – When creating your results, make an effort to compliment your audience. Positive emotions seem to promote sharing, so make sure your results evoke such emotions. Just keep in mind that whatever you say should be truthful. You don’t want to tell your audience that they’re something they aren’t (or maybe you do, it might spark a quiz retake). Use Images That Encourage Sharing – As much as we emphasized the use of images in your questions, this is where you really have to make it count. The image that shows up in the results are what most people will see when your audience shares them. Be sure to use a captivating image to draw attention to your quiz. Integrate Some Kind Of Call-To-Action – Your interaction with your audience doesn’t end at the results. Include a call-to-action to lead them back to your website. Keep that engagement up, it’s why you created the quiz in the first place. At the beginning of this article, you learned what quizzes are capable of in social media marketing. Following that concept, we walked you through a guide detailing the quiz creation process so that you can create your own for your marketing strategy. To start things off, you came up with the title to your quiz with the help of templates, along with what type of quiz you’d like to execute in your strategy. We then went over what it takes to come up with engaging questions, followed by the creation of an effective lead capture. Lastly, we showed you some of the best practices in creating shareable results. Hopefully you can walk away feeling confident about implementing quizzes into your social media marketing. They’re incredibly popular, fun, and can bring a huge boost in audience engagement. So try it out in your marketing strategy and see how far you can get. About the Author: JP Misenas is the Content Marketing Director & Audio/Visual Technician/Engineer of Interact, a place for creating entertaining and engaging quizzes that generate email leads. He writes about innovative ways to connect with customers and to build professional long-lasting relationships with them. Quizzes form an important part of content marketing strategies today, especially when it comes to lead generation. Creating quizzes that add value to your prospects not only go viral on the social media but also help build credibility for your brand. 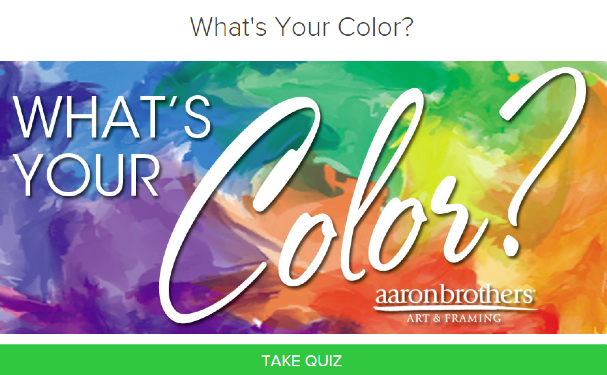 As a content marketer I have also tried my hand at quizzes and honestly, they’ve performed much better than most brands. I mostly use a tool called Outgrow. But I’ll love to explore Interact too.